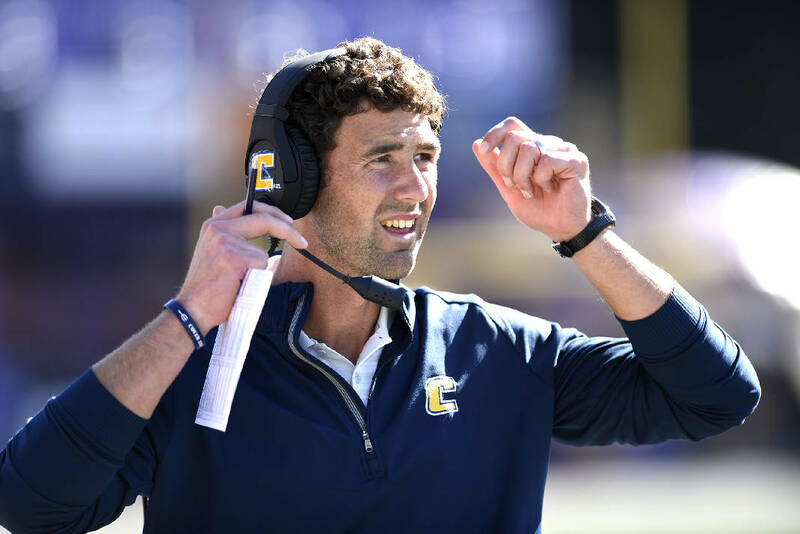 UTC football coach Tom Arth is 9-13 in two seasons leading the Mocs. Updated with more information at 6:50 p.m. on Dec. 5, 2018. University of Tennessee at Chattanooga football coach Tom Arth is "the leading candidate" to become the next head coach of the Akron Zips, according to a report from The Carroll News, John Caroll University's student newspaper. That job became open Sunday, when Terry Bowden was dismissed after seven seasons at the school. Bowden led the program to two bowl bids and the 2017 Mid-American Conference East Division championship but was 35-52 overall with the Zips. The Carroll News' report cited "multiple sources familiar with the Akron football hiring process." A report by The Athletic, a subscription-based national website covering pro and college sports, listed Arth among a number of candidates at Akron. Arth, 37, is originally from Westlake, Ohio, about 50 miles west of the Football Bowl Subdivision school. He played at John Carroll — a Division III program in University Heights, Ohio, about 40 miles south of Akron — and later coached the Blue Streaks from 2013 to '16, compiling a 40-8 record and leading them to their first Ohio Athletic Conference championship since 1989 in his final season. According to The Carroll News' report, Arth "has expressed interest" in the opening but isn't sure he would accept if offered the job. One potential snag is the hiring of Tommy Zagorski, who, sources have told the Times Free Press, has accepted a position on the UTC football staff. Although UTC has not announced Zagorski's hire, his Twitter bio lists him as the offensive coordinator and offensive line coach for the Mocs and he already has been recruiting for UTC, based on tweets from recruits. Presumably, Arth would want to take Zagorski with him to Akron. Zagorski worked as Arth's offensive coordinator at John Carroll in 2014. Arth is 9-13 in two seasons with the Mocs, who have not made the Football Championship Subdivision playoffs since 2016, Russ Huesman's final season as coach before leaving to take over at Richmond. The Mocs started this year 4-0 before finishing 6-5, a three-win improvement over Arth's first season. UTC's defense currently is tied 15th among FCS programs in points allowed per game (21.0), but the Mocs are 91st in total offense (344.9) and 98th in scoring offense (21.5), slight improvements from last season. Arth fired three offensive coaches after the season: coordinator and quarterbacks coach Justin Rascati, receivers coach Greg Harbaugh and line coach Nick Hennessey. Arth signed a five-year deal with an annual salary of $185,000 on Dec. 17, 2016, with an additional $85,000 of annual compensation payable from income earned by the university under various broadcast, endorsement and/or consultation contacts. According to the Memorandum of Understanding signed that day, if Arth leaves prior to Dec. 31 this year, he will owe the school $370,000 or two times his base pay on the date of termination.